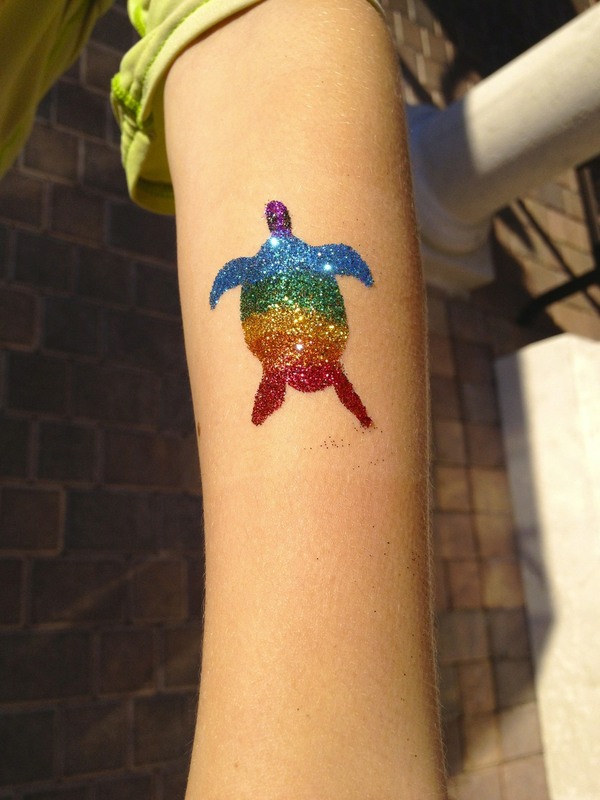 Glitter Tattoo's are the newest item on our menu. It has become extremely popular, and we have done the same thing with the tattoo's that we have done with the balloons: Take it to the next level! First of all they last for a week or more! Also, there's no mess! They won't smearing or smudging! It doesn't rub off on your couch or car seat, No mess after application! Custom designs for your event. We will match the theme of your party or event. We create our designs from scratch so the sky is the limit. Silhouettes. branding and logos. Whatever you want! 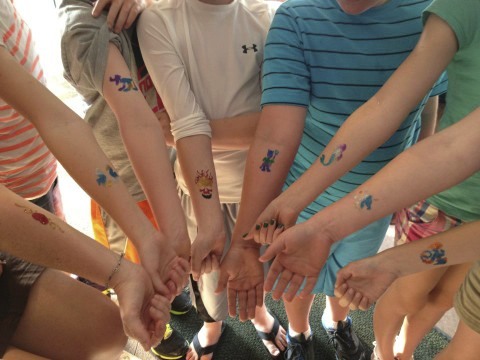 The Glitter Tattoos are not solely geared toward young girls, but rather are equally popular with boys as well as adults. 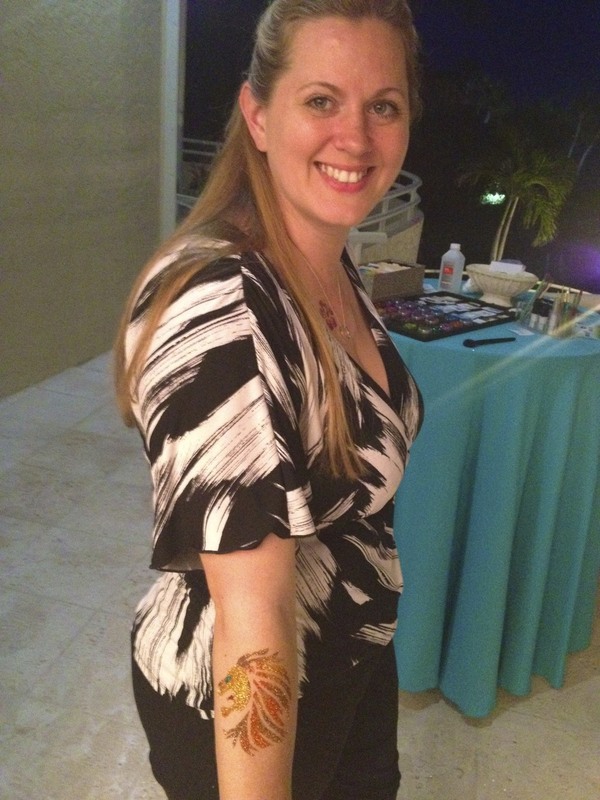 We often do the tattoos at trade shows and adult parties, nightclubs or corporate functions. We design sharp looking menus with the designs so that your guests or clients can easily and quickly choose their tattoo's. Since we design them ourselves the sizes range from tiny butterfly's to giant designs that are sure to be very eye catching! Best of all; They are waterproof! One final bonus... 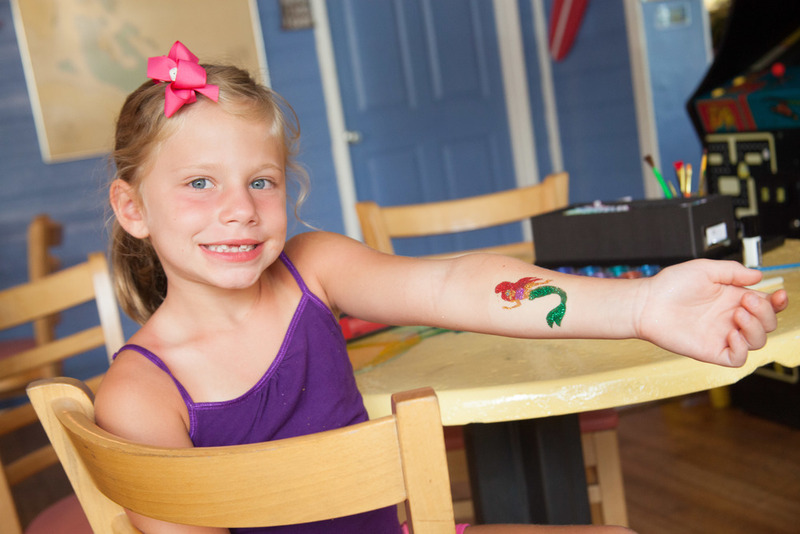 Many of our designs, especially the new ones, include a vinyl window decal that the kids can keep and use!